These shaker cards are great. 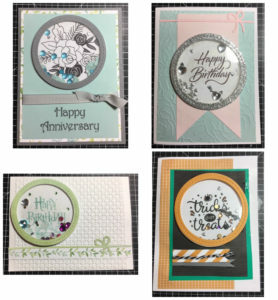 They were created this last weekend at our monthly card class. Love them all!! They are so fun and easy to create.